Speedway aluminum lug nuts are machined from high strength 7075 aircraft material for significant weight savings over typical steel lug nuts. Double-sided 45° seat design for quick and easy fastening. Most racing wheels have a 45° seat for the lug nut to seat in while most street wheels use 60°. By using 45° the lug nut is able to clamp tighter over a larger area, which helps keep your wheels on the car where they belong. If you mix and match street and race wheels or lug nuts you are just asking for trouble. 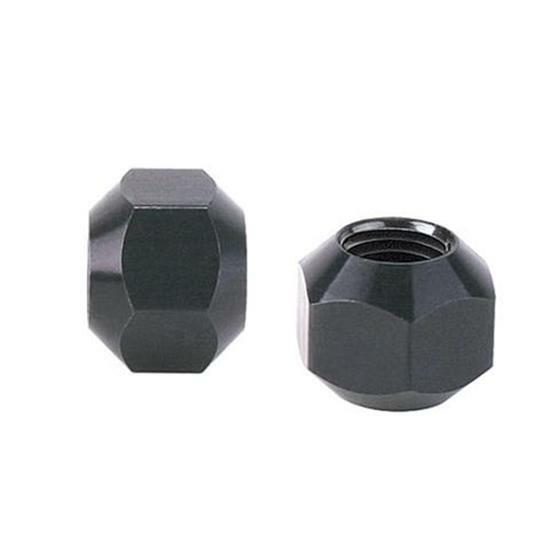 All our lug nuts are 45° and designed to be used with racing wheels.